KayKiSpeaks.com: Happy Birthday Tank and Zion! Watch Emotional Video as Singer Welcomes Baby Boy Zion on His Bday! Happy Birthday Tank and Zion! Watch Emotional Video as Singer Welcomes Baby Boy Zion on His Bday! 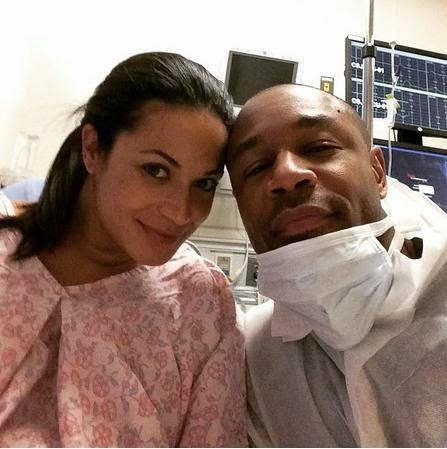 Tank and his love Zena Foster have been letting fans in on their journey back to love AND growing their family for some time now. The couple shared their exciting news that they were expecting via instagram some months back. Since then, Tank especially has made sure we got to watch as Zena's tummy grew. Zena made pregnancy look really easy staying super cute and active. The entertainers announced that their new baby boy would be named Zion and the countdown to his arrival began. Tank posted a few days ago that he'd be arriving today, January 1st. This is extra special for Tank, because today is also his birthday. Just a few moments ago, he posted this emotional video and we can hear little Zion in the background! Happy Birthday to Tank and congratulations to him and Zena on another addition to their family!